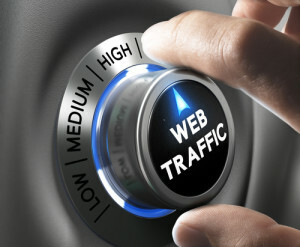 A successful traffic generation strategy for your website is done with a combination of great optimization, content, and a solid social media marketing strategy. The new rules of SEO don’t need to be a hindrance to attracting more visitors as using this powerful online tool helps your brand connect with your audience. How do you attract new followers to your website on social media? Through stellar content, and a well planned marketing strategy. Posting is just the start to this process. Your brand will need to measure and stay active with your community in order to attract an audience to your home base. Sharing useful content for your market is a great place to start in order to drive more traffic to your website. Following up with your community and staying active on social media is the next step. There are several ways you can effectively generate more subscribers for your personal brand with social media. • Create Great Headlines – The first thing your audience will notice on your networks is a catchy title, which will either cause them to click your link and quickly pass the content by. When creating a blog post write out a few ideas first before making a final decision. Keep in mind the shareable content length on Twitter, and the targeted hashtags that can be used. Use link shorteners where applicable, which will maximize your content space. • Schedule Content Strategically – A great plan of action is to determine the most active times your community is engaging on social media, and post your content accordingly. The best way to do this is through a tracking system such as on Hootsuite or Sprout Social as well as by taking a look at the frequency and times your competition is posting. • Optimize for Mobile – More than half of users online are using their smart devices to find information, and make purchases. Your website needs to be properly optimized for mobile in order to attract more visitors from social media. If you use WordPress there are thousands of templates and plugins available that automatically adjust this for you. • Use images and videos to stand out – The tweets and posts that get the most engagement tend to be the ones that include a stand-out image or interesting video. This works well on in your website’s content strategy, which can be cross promoted to places like Facebook, Instagram, Google Plus, Pinterest, and Twitter. Building a successful website traffic strategy for your personal brand includes target market research, great design, and planning with a consistent interaction on your most active social networks. Installing social follow and sharing buttons will also encourage sharing, and draw more visitors to your landing page.